Sipho Maseko is one brave CEO. 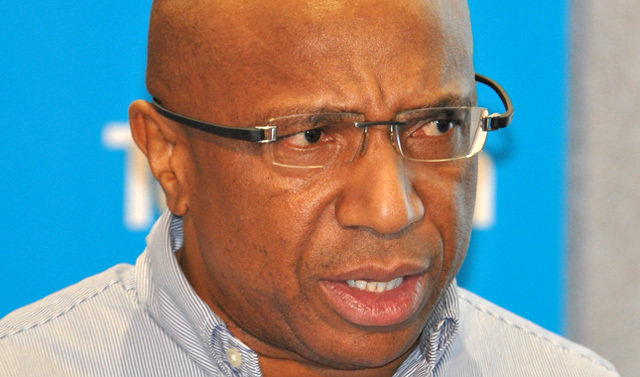 The Telkom boss is about to take on powerful trade unions in a move to restructure the telecommunications operator’s business so that it can compete effectively in an industry that has changed fundamentally around it in recent years. In effect, Maseko is attempting to drag Telkom — in the face of fierce union resistance — kicking and screaming into the 21st century. In the past 20 years, Telkom has gone from dominating its industry through a state-sanctioned monopoly, to being just another player in a cut-throat sector where margins are under severe pressure. If the experience of incumbent fixed-line operators elsewhere in the world is anything to go by, Telkom’s reinvention is going to be exceptionally difficult to achieve. As many as 7 800 jobs (42% out of total workforce of 18 333) will be affected in the latest restructuring round, many of them in Telkom’s wholesale division, as Maseko and his team — they are being assisted by management consulting firm Bain and Company — attempt to turn the overstaffed company into a leaner and more efficient outfit able to compete more effectively with Vodacom and MTN. If Maseko and his team can pull it off, they will change Telkom forever — and for the better. At the heart of the plan is splitting Telkom into three distinct businesses through a process of “deep functional separation”. The enterprise (business), retail consumer and wholesale divisions will, in effect, operate as three independent businesses and will be allowed to develop distinct corporate cultures. In a move not dissimilar to BT’s decision in the UK to spin off itsinfrastructure business into a new business called Openreach, the wholesale business will be set free to serve not only Telkom but all other licensed telecoms operators in South Africa on a fair and equitable basis. Openreach, which is heavily regulated, helped improve competition for fixed broadband services in the UK; in theory, spinning off Telkom Wholesale could do the same in South Africa. Telkom is promising to reveal more detail about its plans for the wholesale division in the third quarter of this year. It’s Telkom Wholesale — which could even be separated fully from Telkom down the line — that is set to take the brunt of the latest round of job cuts. The operator intends using voluntary severance and early retirement packages to entice people to leave. But it’s not ruling out retrenchments. The company says it is keen to retain skills through outsourcing and “enterprise development” initiatives. It appears it wants to encourage its field service personnel, including technicians, to form their own independent businesses that then contract not only to Telkom but provide other, related services to consumers. It’s a model used by broadcaster MultiChoice, which relies on independent contractors to install clients’ satellite dishes and decoders. 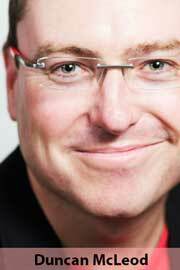 Not surprisingly, Telkom’s proposals have not been well received by organised labour. The company is set to face a strong backlash, particularly from the Communication Workers Union, the most militant of the three unions it recognises. In recent weeks, members of the CWU have been involved in strike action at MTN that has at times become ugly, with the entrance to the mobile group’s head office in Johannesburg barricaded with burning tyres. Telkom will be keen to avoid similar scenes outside its offices. What is particularly interesting is that Maseko appears to have the support of the politicians for the restructuring. There is no way government, Telkom’s largest shareholder, would allow him to press on with the restructuring — and the job cuts — if it did not support the strategy. This fact could make unions’ resistance to the plans more difficult. Getting there won’t be easy. But Telkom must be applauded for doing what is long overdue. Too little, too late I’m afraid. Maseko took the easy route of cutting the workforce down to the customer base size, instead of doing what needed to be done, and increasing the customer base to require the workforce. It’s the shrinking customer base that’s the problem, the oversized workforce is just a symptom of this. When they started, I applauded Telkom leading the FTTH charge, but in just a year they’ve lost so much ground to others, and their offerings are so inferior, I have very little hope for the current leadership; they’re totally tone deaf to what their customers want, and seem unable to be competitive. A brave CEO? How so? He’s appointed by a one party, crony cadre, deployment system (ala Eskom) and then we are told he has the support of the politicians for the restructuring. Maseko is NOT a CEO who has to return a fat dividend to his bosses the shareholders or risk losing his fat perks, he’s a Party stooge carrying out the Party Line. In any case the whole disaster will end in tears before bedtime as those poor saps who believe that ‘outsourcing’ is going to bring them a bright future will be bitterly disillusioned. If big players in the industry are already battling how are pissy willy newbies Piet Pompies and Bongani Tshabalala going to turn a profit and feed their family? Oh, and did I mention the global slump for the next 30 years? I suppose those being retrenched could always take a leaf out of their CEO’s book and go into the licence plate cloning business.